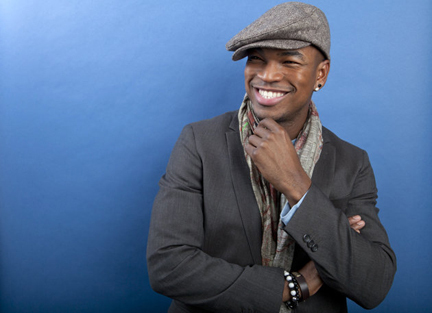 Ne-Yo knows that dance and electronic music dominate the charts and radio, and he believes some of the lyrics are weak. But when he approached that sound on his fifth album, “R.E.D.,” the 33-year-old Grammy winner said he took the time to craft lyrics that have meaning. He said the best example is “Let Me Love You (Until You Learn to Love Yourself),” his current single and Top 10 Billboard pop hit. “I told myself if I’m going to do this dance music or electronic or techno or whatever it is, I need to do it from a standpoint of making mine stand out from everybody else’s, meaning a Ne-Yo dance record is going to have some kind of depth in the lyrics because the lyrics is who I am,” he said. “R.E.D.” — out this week — features more dance-sounding tracks as well as R&B ones. The singer-songwriter, who has multiple hits of his own and has also written smashes for others like Rihanna and Beyonce, talks about the new album, songwriting, collaborating with country star Tim McGraw and being a father in an interview with The Associated Press. AP: “Let Me Love You” was co-written by Sia and you usually don’t write with other people. How did that song come about? Ne-Yo: I know for a fact that there are incredible songwriters out there, but I just always feel like everything I do comes from a really personal place, and for another songwriter to come in and write a song for me that’s going to be as personal as me writing a song for me — I didn’t feel like that was possible. But even with that being said, I’m never going to turn down a hit. If somebody’s coming at me with a hit, I'm not that dude. AP: Sia also co-write Rihanna's hit “Diamonds” and she’s blowing up. Ne-Yo: She’s getting all this recognition and attention now and she doesn’t want to be an artist anymore. ... I don't blame her. Being an artist definitely has its pros and its cons. ... You can walk down the street and have the No. 1 song in the world and nobody bothers you. AP: You have two children, and I wonder how parenthood has changed making music for you. Ne-Yo: It’s changed the way that I write to a degree. I used to pride myself on how fast I can write a song, how many songs I can write in a small amount of time. Now it’s definitely quality over quantity. ... It’s that now because the better the song the more likely somebody’s going to buy it; someone buys it that means I get money and I can take care of my kids. AP: What was the energy like when you made the new album? Ne-Yo: There was almost an essence of me needing to prove something. ... My last album didn’t perform as well as my previous three, and I felt with this one, I definitely needed to remind me this is what I do. AP: Since “Libra Scale” didn’t do as well, did you approach this album differently? Ne-Yo: The approach going into “R.E.D.” did have a little bit to do with “Libra Scale.” In the realm of what “Libra Scale” was, there was a lot of things that I was trying to do that I had never done before and that I didn’t take the time to gain the proper knowledge of before I attempted. AP: That was pretty honest. Ne-Yo: I am 100 percent the guy that if I know that it was my fault, I’m going to say it’s my fault. ... No excuses over here. ... I take full blame, full responsibility. AP: You’re also very honest on “Cracks in Mr. Perfect,” where you sing about infidelity. Was that one easy or hard to write? Ne-Yo: That was the one record I was a little afraid of. People are going to hear this and change the way they view me. ... It was easy because it’s things that’s always floating in the back of my head anyway. The difficulty came in with the honesty. Like, do I want to be this honest? Do I want to say to somebody, “I’m a man of my word, but only when I’m not lying”? AP: How did you and Tim McGraw get together? AP: What are your favorite albums of the year?